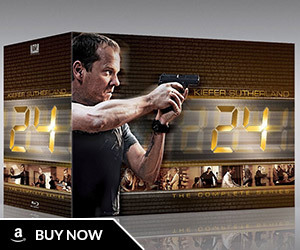 The official 24: Live Another Day website has just gone live. At the time of this writing the site is pretty barebones with just a press release and seven older photos of the cast members. But it’s something! In previous years, the official website has featured episode recaps, character biographies, wallpapers and screensavers, and exclusive video content. 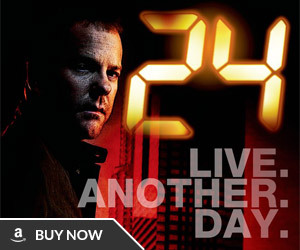 Obviously it’s too early for much of that content as filming on 24: Live Another Day began just days ago. You can access the site at the link below or by simply typing fox.com/24/ which will redirect to the new page. 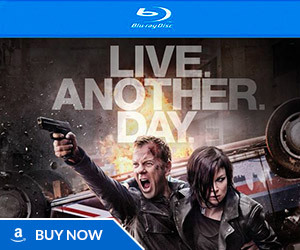 The website launches just in time as FOX plans to air an action-packed 24: Live Another Day promo during Super Bowl XLVIII this Sunday. YES!!! I’ve been waiting for this!!!!! Hope they bring some of the great old stuff, like Network 24 or something. I was wondering about that….. Yes, not only the site in its entirety but also that those who were involved with it by sharing from their military background and weapons expertise especially during the last season.. Their insight to the type of planes, rockets, and weapons used in each of the episodes helped flesh the story line out in ways those of us as civillians or married military might have otherwise not seen or fully understood how it impacted the overall arch of character development. They also offered insight into the difference in style of writting, plot unfoldment and character development as we watched the “24” Story line progressed from season to season. I hope they will be able to do this once again as I always looked forward the next day to reading their imput. There were some I enjoyed so much that I printed several of the comments out as the season unfolded and came across them a year or so back. Reading their input brought that last seasnon back to life in my mind as I sat with cup of hot tea and smiled with a lot of fond memories while I reading them once again. Yes, there will be a prequel, but it’s going to be in the form of a comic that launches in April.